This scan is very moving. It depicts a lot of emotion. Thanks for sharing! This is a superb! I like the dress, earrings, crystal lamp, the color....all perfect! Love the detail in the chandelier.. Yes, it's perfect picture. And Hotaru's eyes are beautiful Thank you for that scan! Woah....this is so nice too! this is so nice too!.... i love illustrations of sailor moon!? 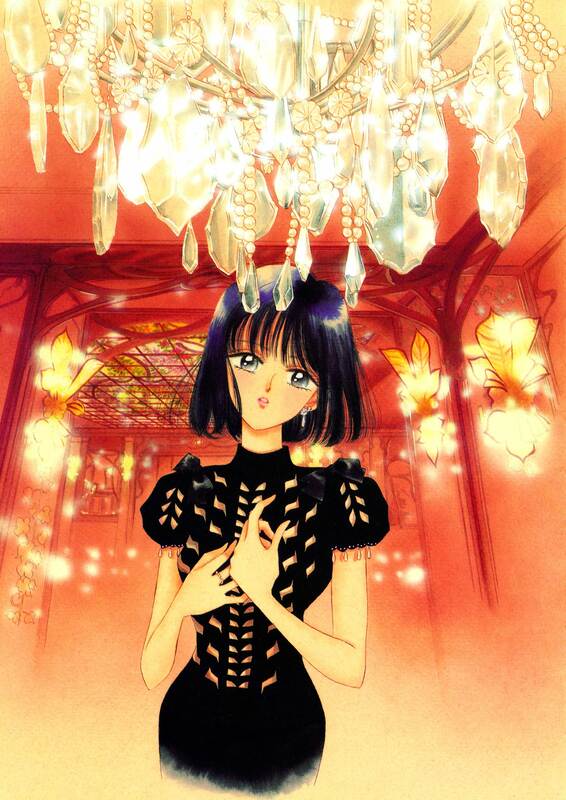 Scans like these make me think Naoko Takeuchi is really underrated in terms of talent. This is just gorgeous! She looks really gorgeous here - thank you!